To offer a helping hand to cats in need of rescue, provide them with food, love, and medical care, and house them safely until an appropriate forever home is found. We are a 501(c)(3) nonprofit rescue. Although our founders have been rescuing cats for many years, our roots truly began to grow in May of 2012. During this time, we became aware of the dire situation at Harnett County Animal Control where many animals on death row face euthanasia. Although we did not know we would turn into a rescue then, we agreed to take cats who did not find rescues or adopters before their time was up, and attempted to find them loving homes. 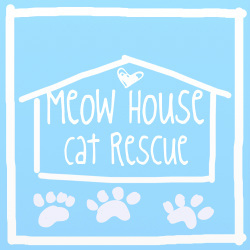 Each week we took the last few who would have otherwise been left behind and as our numbers grew, we made the decision to officially start a cat rescue based out of Raleigh, NC. Since then, we have grown to include several volunteers, including fosters, helpers at events, administrative, fundraising, and more. Our adoption events take place in many locations around Raleigh and surrounding areas, including Garner, Cary and Apex. Learn how you can become a foster or volunteer here. One of the benefits of adopting through us is that each and every cat is fostered in one of our loving homes. This means that we get to know each kitty’s likes and dislikes, (good with other cats, dogs, etc? ), and socialize them in a more real-life environment. It also means that we don’t have a “walk-in,” public facility. However, don’t let that stop you! We are happy to meet with you at one of our adoption events, or if you find a kitty on our website who you’d like to meet, we can make a special time to meet with you one-on-one.